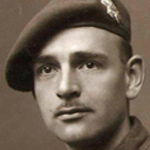 Private Arthur Betts, No 5 Commando HQ, died during operations at Maungdaw. Issue 9 of the Third Jungle Book. 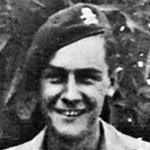 Private William Bevan, No 5 Commando HQ, died during operations at Maungdaw. Sergeant Robert Beveridge died during the raid at St Nazaire. He was one of the commando contingent on HMS Campbeltown. Private John Bishop, No 5 Commando HQ, died during operations at Maungdaw. 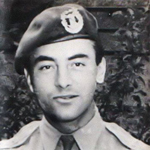 Sergeant John Blakemore died during operations in Madagascar. 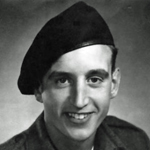 Private Alan Bradford, 5 troop, died during operations at Maungdaw. The ful circumstances of the death of Driver John Brothwood are not known by this archive. Operation Claymore: CVA gallery entry. Read more about BROTHWOOD, John T.V.W. Lance Sergeant Frederick Brown died in the UK by gunshot wound at Sandown. 3 June: The death occurred by gunshot of L/Sgt FH Brown 833166 at Sandown. Private James Brown was awarded the MM for gallant and distinguished services in the field relating to his successful escape in October 1943 after being captured during the raid at St Nazaire in March 1942  . He was one of the Commando contingent on board HMS Campbeltown . Lieutenant Sydney Bryant died during operations in Kangaw. Gunner Lionel Budd, 5 troop, died during operations at Maungdaw. Gunner Philip Chambers, 2 troop, died during operations at Maungdaw. The full circumstances of the death of Private Frederick Clifford are not known by this archive. Former Driver H. J. T. Cole of No. 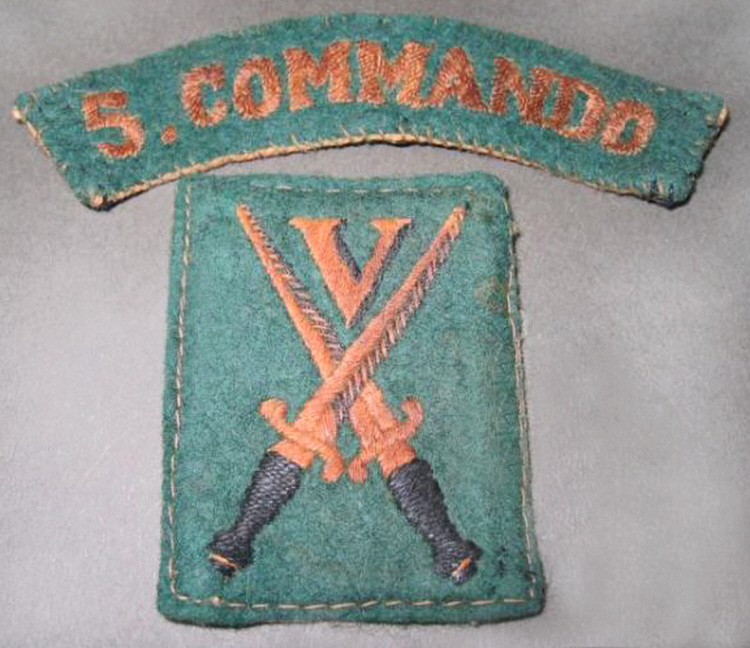 5 Commando, later a Sergeant in the Royal Australian Army, died in 1955. [Source: Commando Association newsletter 23]. Read more about COLE, H.J.T. Mick Collins, 5 troop, met his good friend and Commando Pal, Geoff Hill, at the King's Royal Rifle Corps recruiting office as they were enlisting. 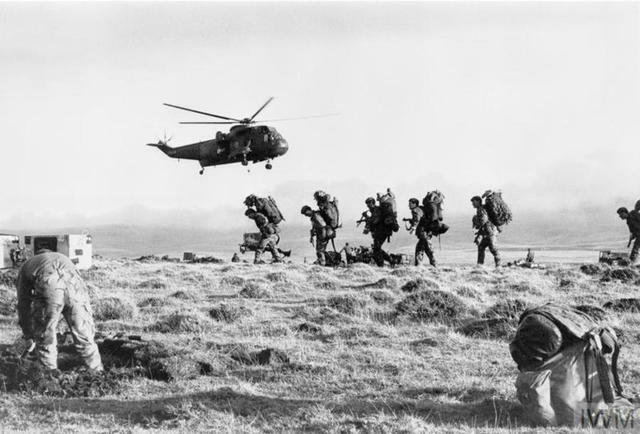 They later volunteered for special service in the Commandos together, trained at Achnacarry together and were paired up as Commando Pals. 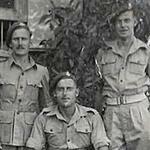 They fought side by side in Burma where they were both WIA on 23 March 1944. Post WWII they remained in close friends and stayed in contact until Mick sadly died in February 1956. 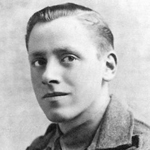 Private Charles Cooke died during operations in Madagascar. Trooper Alexander Dickson, 5troop, died during operations at Maungdaw. Sapper Frank Eaton 5 troop, died during operations at Maungdaw. The full circumstances of the death of Lance Corporal Henry Edwards are not known by this archive. Read more about EDWARDS, Henry E.
Troop Sergeant Major James Ferguson was awarded the MM in recognition of gallant and distinguished service in Burma. The death of TSM Ferguson MM (5 Cdo) of Falmouth, Cornwall, was announced in Commando Association newsletter 102 issued March 1996. National Archives file WO 373/36/72. Sergeant William Ferguson died during the raid at St Nazaire. He was one of the commando contingent on HMS Campbeltown. Rifleman Charles Flowers died during operations at Kangaw. Private George Gibson was awarded the MM in recognition of gallant and distinguished services in Burma. His details are in Commando Association - Lost Legion List No. 5 ( those they had lost contact with). There they show his final rank as Corporal and his last known address as Perthshire. London Gazettes Supp. 36574, page 2963. National Archives file WO 373/32/117. The circumstances of the death of Private Frederic Godden are not as yet known by this archive. Driver Anthony Green, 1 troop, died during operations at Maungdaw. 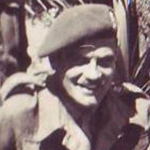 Sergeant Frederick Haldane, No 5 Commando HQ, died during operations at Maungdaw. Private Alfred Hambridge, 5 troop, died during operations at Maungdaw. Private Thomas Harris, 4 troop, died during operations at Maungdaw. Private James Hodges, 5 troop, died during operations at Maungdaw. 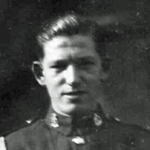 Private George Hulmes died during operations in Madagascar. Private Philip Hurley, 2 troop, died during operations at Maungdaw. Sergeant George Ide died during the raid at St Nazaire. He was one of the commando contingent on HMS Campbeltown. Lance Sergeant Bertie Johnson died during the raid at St Nazaire. He was one of the commando contingent on HMS Campbeltown. The full circumstances of the death of Company Sergeant Major Douglas Johnson are not known by this archive. Lance Corporal Sydney Jones died of wounds inflicted during operations at Maungdaw. Sergeant George Kelly, No 5 Commando HQ, died during operations at Maungdaw. 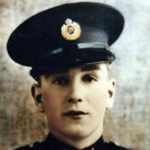 Captain Denys Kerr was awarded the M.C. in recognition of gallant and distinguished service in Burma . Rifleman Cyril Linsey, 5 troop, died during operations at Maungdaw. The full circumstances of the death of Lance Corporal Robert Lycett are not as yet known by this archive. 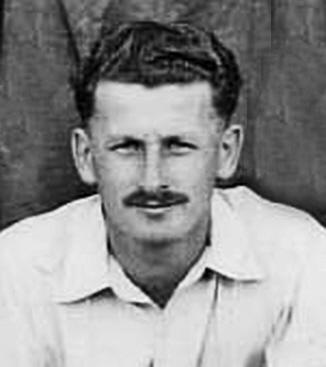 Private Sidney Lynn died of wounds received in action on the 23rd March 1944 at Maungdaw. 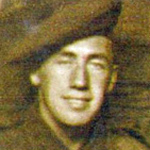 Private Sydney Macgowan, 2 troop, died during operations at Maungdaw. 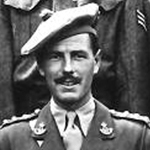 Captain Francis Stanley Manford served in No 5 Commando until 1942. He then left the Commando and joined Mission 204. 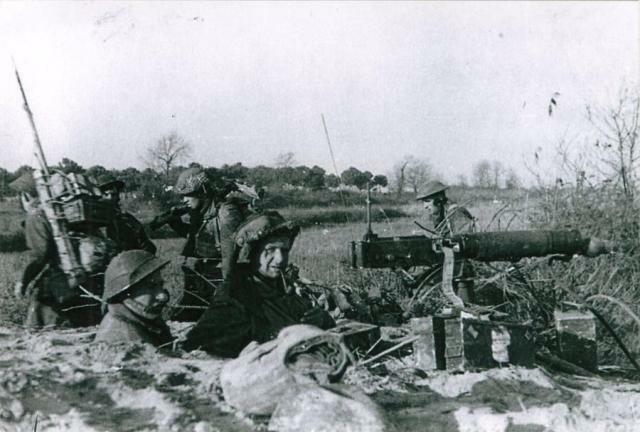 From there he became an instructor to 77 Brigade – the Chindits.. In 1944 having now joined the S.O.E. he contracted Malaria whilst on leave in India and took his own life. A handwritten letter from Colonel Gardiner to Mrs Manford states "I hasten to make it clear that in my opinion he was suffering from the effects of malaria and was not responsible for his actions at the time." Lance Bombardier Dennis Mason died during operations in Kangaw. Private Jack McNiff died during the period when No 5 Commando were involved in operations in Madagascar. Craftsman William Meek, 2 troop, died during operations at Maungdaw. 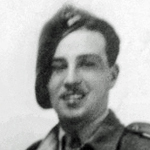 Major Ronald Menday was second in command of No.4 Commando at Normandy on 'D' Day. Took command for a short period after Lt. Col. Dawson [more...] was wounded . Commissioned Second Lieutenant May 1940 . Received a MiD in recognition of gallant and distinguished services in the field . Awarded the M.C. in recognition of gallant and distinguished services in NW Europe . The full circumstances of the death of Rifleman Charles Miles are not known by this archive. 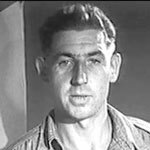 Bombardier William Nelson died during the period his Commando were engaged in operations in the Maungdaw and Ramree area. 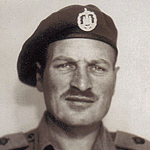 Corporal George Ormesher died during operations in Madagascar. Private James Parker was mortally wounded by a premature explosion of a no. 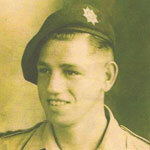 Private Leslie Peach, 5 troop, died during operations at Maungdaw. Captain John Peebles MC was mortally wounded by a premature explosion of a no. 68 grenade on a field firing exercise at Cheverton Down, nr Ventnor on the Isle of Wight. Charles Pollitt, then a Captain, embarked with No 10 Independent Company on their deployment to Freetown in April 1940. At the end of the year after No 10 Independent Company was disbanded he volunteered for and was posted to the Holding and Training Wing at what was then STC Achnacarry. . Sergeant Douglas Quillin served in Nos. 7, and 12 Commandos, and later in No. 5 Commando in the Far East. Commando Association obituaries in newsletter 91 issued August 1990. Read more about QUILLIN, Douglas Gordon. 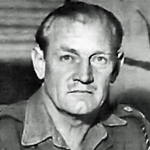 Fusilier Stanley Reeve died during operations at Kangaw. 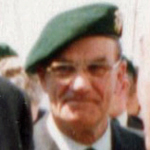 Private Charles Robson, No 5 Commando, and post war a member of the original Commando Association, was awarded an MBE in the 2004 New Years Honours List for services to the community in Southwark. He also renovated a Thames barge that he owned called “The Spirit of Mountbatten". He went on to win the Thames Barge boat race in it. London Gazette Supp 57155, page s21. Commando Association newsletter 118 of 2004. Private Samuel Sansom, 6 troop, died of wounds received in action at Maungdaw. Private John Scobbie died of wounds received during operations at Myebon. Commanding Officer No 5 Commando when they sailed to India in November 1943 until the 12th September 1944 when he relinquished his command to Lt Col Pollitt and rejoined his Regiment, the Royal Inniskilling Fusiliers. 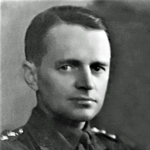 In 1940 the then Captain (Acting Major) David Mackenzie Shaw was awarded the MC for his gallantry serving with the Royal Inniskilling Fusiliers. In 1942 the then Lieutenant Richard Sheddon was awarded the M.C. in recognition of gallant and distinguished services during operations in Madagascar. London Gazettes Supp. 35740, page 4431. National Archives file WO 373/29/135. Surname spelt as SHEDDON on N.A. file, and CA Newsletter 105; SHEDDEN on L.G. record. Lance Corporal Albert Skeates, 6 Troop, died late afternoon on the 1st November 1940 when hit by shrapnel from an exploding shell whilst walking along the Dover-Deal road. 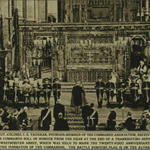 He was given a military funeral at St. James' Cemetery in Dover at 15:00 on the 4th November. No 5 Commando War Diary. Lieutenant Christopher Smalley died during the raid at St Nazaire. He was one of the commando contingent on HMS Campbeltown and OIC of a demolition team. 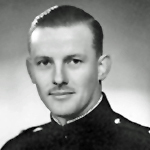 He received a posthumous MiD for "gallant and distinguished services in action against the enemy during the raid." LG Publication date: 3 July 1945; Supplement: 37162; Page: 3494. 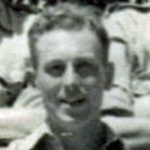 Private Ronald Smith died during operations at Kangaw. Rifleman Alfred Stapleton died during operations at Kangaw. Private Ernest Stedman, 5 troop, died during operations at Maungdaw. Lance Corporal George Stokes died during the raid at St Nazaire. He was one of the commando contingent on HMS Campbeltown and part of Lt Burtinshaw's demolition party. Lance Corporal George Sylvester, 5 troop, died of wounds received on the 23rd March 1944 at Maungdaw. Corporal Reginald Taylor died during operations in Kangaw. Lance Corporal Frederick Toms died during operations in Kangaw. 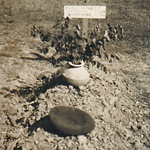 Private Eric Tooth died of wounds received during operations at Kangaw. Private Kenneth Tordoff , No 5 Commando HQ, died during operations at Maungdaw. Fusilier Leonard Tungatt died during operations at Kangaw. 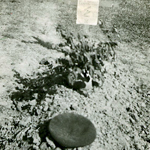 Private Bert Wheeler, 2 troop, died during operations at Maungdaw.